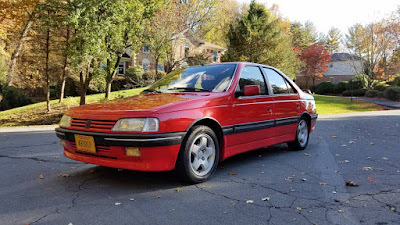 It's been a long time since I have seen a Peugeot 405 Mi16. It's been a longer time since I have seen one this nice. Google “Peugeot 406Mi16” and a ton of articles come up praising the car's engine, handling, braking, comfort, etc. Sadly, the bulk of those articles were written after August 6, 1991, the day Peugeot gave up on trying to sell cars in North America. Hindsight is always 20/20. We just never bought Peugeots here when we could. They had some nice cars - the 405 Mi16 being one of the best - but we ignored them. They still make some nice cars, but now we can't get them. But you can get this one. And, boy, does it look nice. The seller says this was imported from Spain in 2018. It has 105,00 miles on it. It looks very clean. The Pininfarina designed body looks great in red. 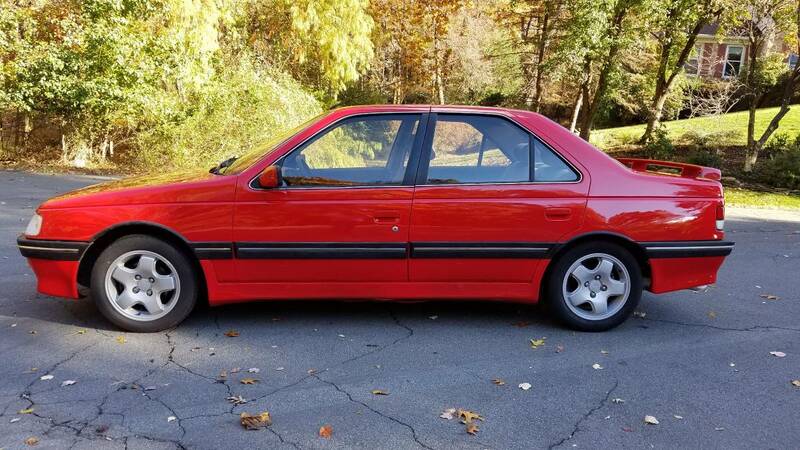 The gray / red interior matches the exteriorr perfectly and looks to be in great condition. Aesthetically, there is nothing wrong with this car. 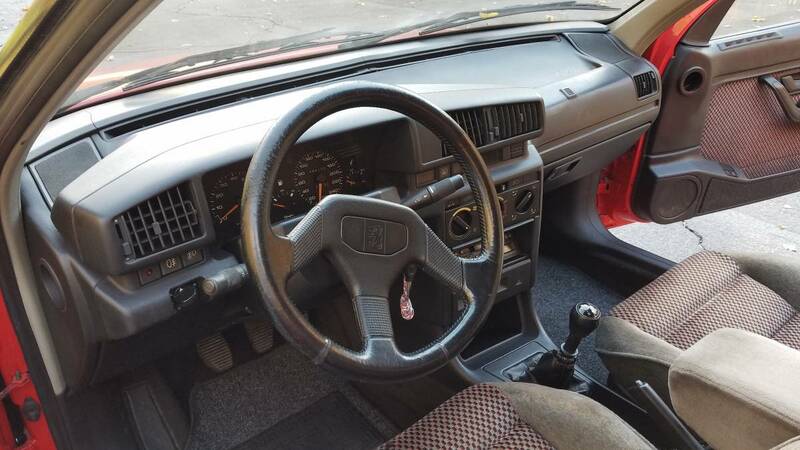 Mechanically, the seller says it has been "well maintained," but gives no details. 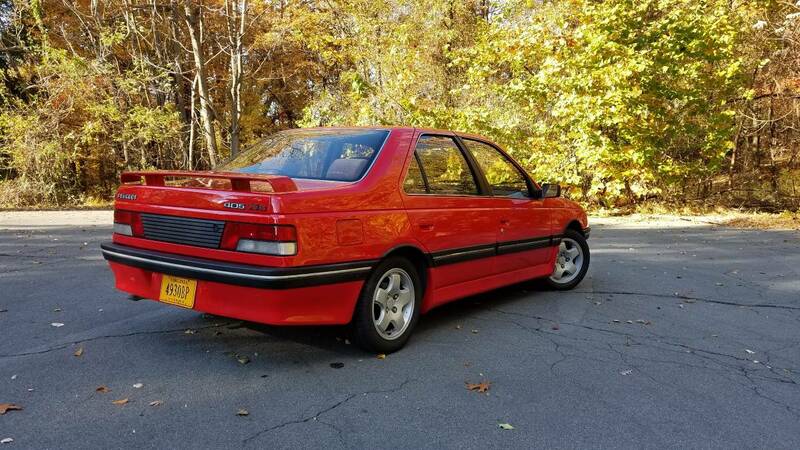 If you're in the market for a classic high performance European sedan, this car is one you should check out. Located in Great Falls, VA, click here to see the Craigslist ad. These are incredible! I love the old hot Peugeots. I'm from the UK but live in the US. The 309gti was always a personal favourite of mine. Nice to see appreciation for the more unusual cars. I have an excellent condition '91 Mi16. It is a fabulous vehicle, a true drivers car that brings a smile to your face every time. This seems like a lot of $$$ but the nice ones are very rare.